Use the form below to contact us here at Alexander Tredwell – we will respond to your query as quickly as possible. I agree to Alexander Tredwell collecting my details via this form and contacting me accordingly. When you click 'Send', your details will be held before being added to our database, as described in our GDPR Overview. You will not be added until you confirm this via email. Alexander Tredwell is located in the heart of Oakham, a pretty, traditional English market town, bustling with activity and current holder of a coveted Britain in Bloom award. Follow the A1(M) South and exit onto the A606 (signposted for Oakham). At the T-junction turn right towards Oakham/Rutland Water. Continue along the A606 passing Rutland Water on your left. At the first roundabout, continue straight over towards Oakham town centre. At the second roundabout, turn right – you are now entering Oakham High Street. Alexander Tredwell is located towards the end of the High Street on the left-hand side. Join the A1(M) North. Follow the A1(M) until you pass Peterborough. Continue along the A1 for approximately another 10 minutes and then exit onto the A606 (signposted for Oakham). At the T-junction, turn left towards Oakham/Rutland Water. Continue along the A606 passing Rutland Water on your left. At the first roundabout, continue straight over towards Oakham town centre. At the second roundabout, turn right – you are now entering Oakham High Street. Alexander Tredwell is located towards the end of the High Street on the left-hand side. The nearest train station to Alexander Tredwell is Oakham station. 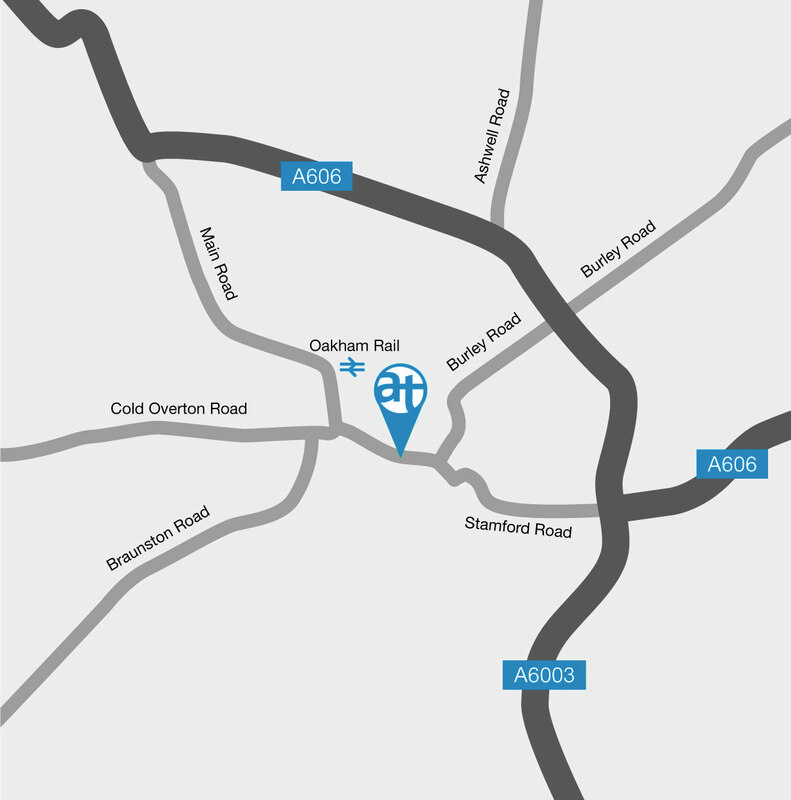 Our offices are only a three-minute walk away. Connect at Leicester station for trains to Oakham.